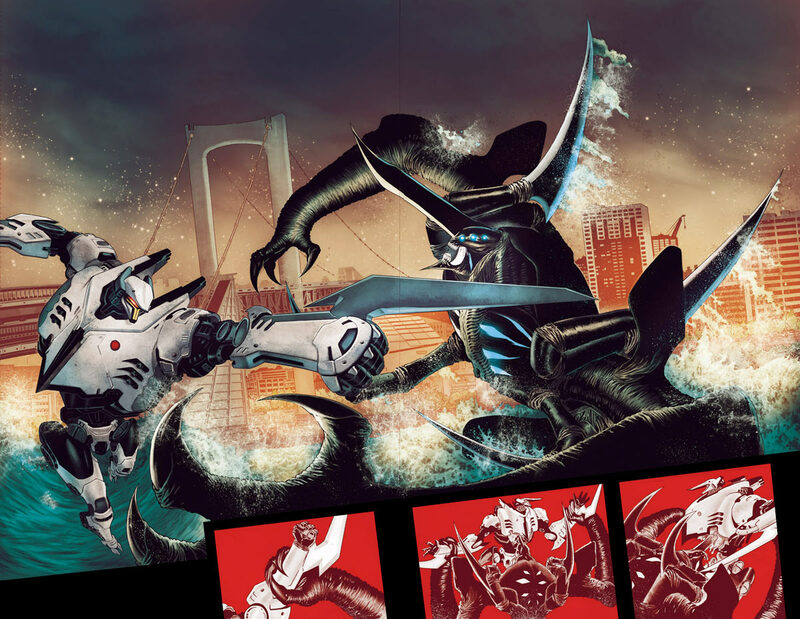 Legendary Comics has just confirmed that an all new 4-issue, monthly comic series set within the Pacific Rim universe is set to hit stands later this year. The announcement posted on their site also mentions two new original works: Black Bag and Cops for Criminals. In a follow-up to the best-selling graphic novel Pacific Rim: Tales from Year Zero, director Guillermo del Toro presents Pacific Rim: Tales from the Drift – making good on his promise to take fans back to ground zero where the action is. Accompanying Legendary’s announcement is a chance to win an exclusive page of original comic artwork from the series. Interested parties can hop on over to PacificRimComicArt.com for a shot at the prize. Pacific Rim: Tales from the Drift is due for release this November 2015 and will feature a story by screenwriter Travis Beacham. Joshua Fialkov (I, Vampire, Elk’s Run) will take the writing helm and will be joined by artist Marcos Marz (Batman Confidential, Blackest Night: JSA) and colorist Marcelo Maiolo.